The transmission Control Protocol (TCP) and the Internet Protocol (IP) allow independent networks to form one large network of networks. They are basically a set of instructions operated on computers composed of two parts: web browser and a web server. The web server is the software in the user’s local computer, while the server software runs on a computer on the Internet. The web browser is launched, for example, when a uniform resource locator (URL) is typed. URL had details on the Internet Protocol to be used (http://), a web address describing the resource to be found and the indication of the web server to be connected as well as the specific directory and the home page or document desired. The desired destination details are sent by the Hypertext Transfer Protocol, which defines how the browser and the server should communicate. The web is different from the Internet, which is a global network of computers, whereas the web consists of millions of web pages that are on computers linked to the Internet. The pages may have text, pictures, video and more. Each page has a unique address called URL (Uniform Resource Locator). It consists of the protocol (e.g. http ://) which is an abbreviation for Hyper Text Transfer Protocol, which allows pages to contain links or hyperlinks to other pages or images. The domain name (which is case insensitive), is given before the first single forward slash (e.g. www.park.com.in/) and file path, which is typed afterwards including the forward slash (e.g. /ramu/gopi/tap.html). The actual file name is what is found after the final slash (viz. tap.html), that is within a folder, gopi, which in turn is in another folder, ramu. A user need not enter the protocol (http) into the browser; it is automatically added to a web address. Sometimes the file paths on a home page are hidden as in http://www.emirates.com (which are only protocol and domain). A browser plug-in (e.g. Real Player) is used to enhance the browser for playback of music or video. It is an additional piece of software used to process particular types of content. For example, Adobe Flash Player is a plug-in for use in interactive games or simply to view videos. Macromedia’s Shockwave or Flash players are used for animations and multimedia effects on web pages. Pc users use a plug-in for viewing PDR (portable Document Format) documents within their browsers. A web browser is a key component of the Internet. The Web browser is a piece of software with which you can view web pages. It is the entry point to everything stored online such as documents, photos and Web applications. 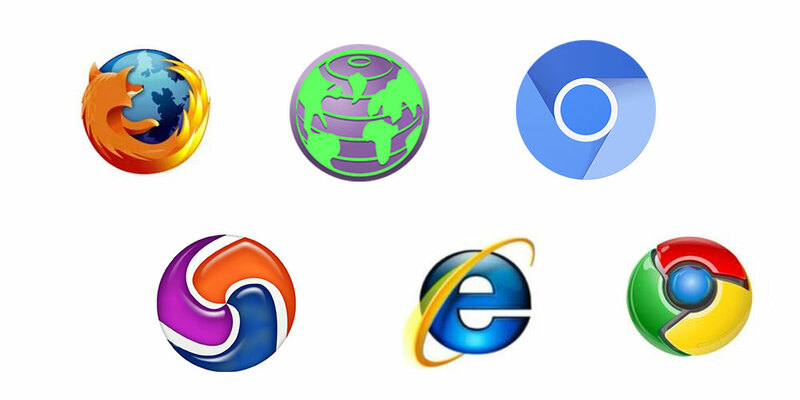 All computers come with at least one browser pre-installed and ready to operate, e.g. Internet Explorer, Firefox or Chrome. In 1993, Marc Andreeseen released the first graphical web browser. Two years later, Microsoft released its first browser, Internet Explorer, which became the world’s most widely used browser as part of Microsoft’s Windows. In 2004 Mozilla Foundation, a non-profit organization, released the first full version of its open source browser, Firefox. Its earliest version was released in 2002. Over a decade, the browser has become the third most popular open source software, used by 450 million people worldwide. About 40 per cent of it is written by volunteers. The browser is available 75 languages and more than half the users apply non-English version. Users can customize its features. Experts think that it is less vulnerable to malware than others. Another software, Safari, was launched in 2005 for Apple’s Mac computers. Google’s most recent addition, the Chrome browser, shows nine thumbnails of a user’s most frequently visited sites in place of a home feature when a new tab or window is opened. Nowadays automatic updates are offered by all popular browsers.